Footage recorded of the altercations shows tables and coolers being pushed to the side as college students throw down over unknown reasons. 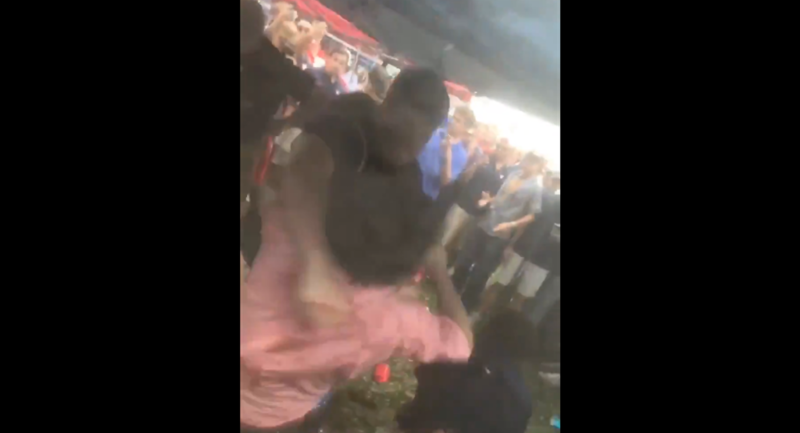 Videos were shared on social media by fellow Ole Miss students that happened to get front row views to the amateur boxing matches. Video uploaded on Twitter of a separate brawl shows a pair of college students being egged on by others as they attempt to strike each other several times. Unlike the previous fight, footage of the second incident offers a surprise ending as all parties involved suddenly break out in song and dance after the brawlers squash their beef. ​However, the aggressive behavior wasn't just reserved for tailgaters outside Ole Miss' Vaught-Hemingway Stadium. Inside, another student was recorded getting ready to lay hands on an opponent after they encroached on her personal space. ​"Get the f**k out!" the sunglass-sporting football fan yells at a retreating student. "I don't give a f**k about who your bros are! Get the f**k out!" Ole Miss played against the Southern Illinois Univeristy Salukis on Saturday. For much of the game Ole Miss trailed behind its opponent before coming back after halftime for a 76-41 win.